Do Candidates And Judges Have Control Over Their Profiles? Candidates and Judges do not control their own profiles. They are able to submit biographies, statements, and articles, but an administrator reviews submissions carefully. Candidates and judges must provide a link or PDF document when claiming awards and publications; this is so that voters can verify them. Cases are mined from various data sources and added to judges' profiles. Corrections on any cases or articles can be submitted by anyone and corrections are applied as quickly as possible. This website is different from other "rate-a-judge" websites in that we do not rely on popular reviews. The problem with relying on popular reviews is that, all too often, the reviewer is doing so because he or she is happy with or angry with the judge's decision in a personal case. The major purpose of this website is to show the public which judges are competent in their position. The popularity or unpopularity of a judge provides a poor metric of review because judges are supposed to interpret and apply existing law, even if they personally disagree with it. Accordingly, we have determined that the most unbias, effective metric of review is a judge's record on appeal. Why Review Judges Based On Their Error Rate? A judge's error rate provides for the most unbias, effective, and accurate measure of a judge's competence. What truly matters is whether or not the judge's decision was unbiased, logical, and consistent with law (including the constitution) and legislative intent. This is precisely the function the Supreme Court of Nevada serves, and by tracking a judge's record on appeal, we can easily and accurately determine the judges that are competent in their position and the judges that are not. Personal reviews are slanted at best, or rooted in a deep-seated rage at worse. This is one of the biggest reasons the several other rate-a-judge websites currently on the internet have so little credibility. A judge is almost always going to be involved in angering people with his or her decisions. The job by its very nature requires picking winners and losers, and seldom does anyone actually care if the judge's decisions are correct as opposed to whether or not the judge ruled in their favor. Where Does A Judge's Error Rate Come From? A declaration by an appellate court that a judgment, order, or decree of a lower court that has been brought before it for review is valid and will not be overturned. A declaration by an appellate court that a judgment, order, or decree of a lower court that has been brought before it for review is erroneous and must be overturned. A declaration by an appellate court that a judgment, order, or decree of a lower court is cancelled as erroneous and invalid. An action taken by an appellate court in which it sends back a case to the lower court for further action. A writ petition is essentially a petition for extraordinary review, asking a court to intervene in a lower court’s decision. Generally, a writ petition is only effective when the petitioner has no adequate legal remedy. petition in the The Supreme Court of Nevada. These are considered an only when extraordinary relief is warranted, and if so, are granted upon the determination that the lower court erred, and denied otherwise. Does A Judge's Error Rate Really Matter?
. The costs of sustaining this process are burdened not on the judge that made the mistake, but rather, the person litigating the case. For these reasons, it is important that judges are competent, unbiased, and fair in their decisions. Judges that are incompetent, unprofessional, and biased can be exposed by a poor error rate on appeal; we, as citizens of this State, should strive to remove these judges from the bench. What Does A Judicial Ethics Conviction Really Mean? 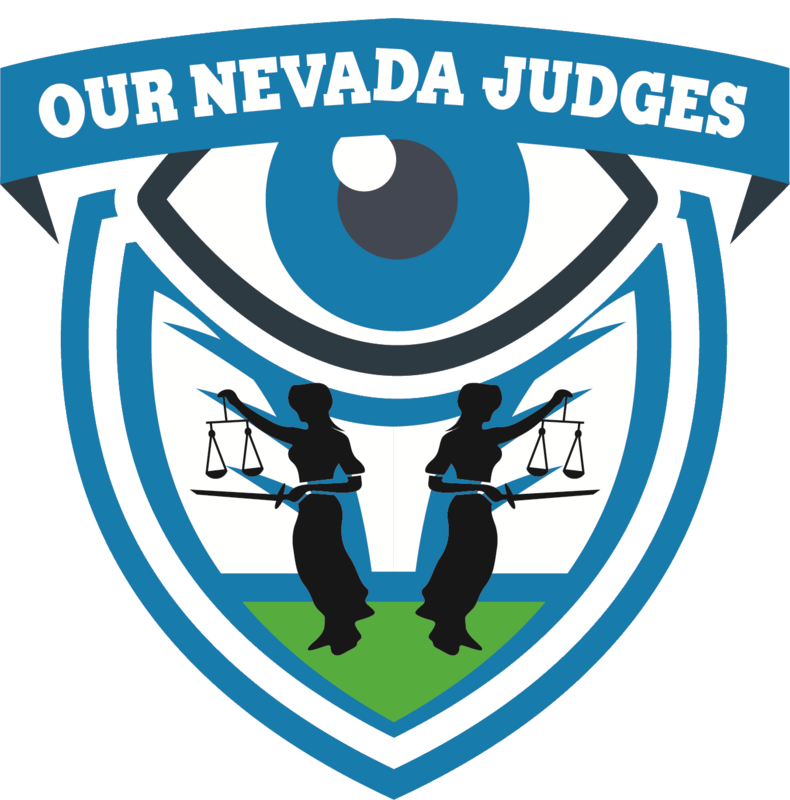 The Nevada Commmission on Judicial Discipline is a creature of our State constitution and serves the public by providing judicial oversight (much like the State Bar Of Nevada provides attorney oversight). When a judge is found guilty of violating the Judicial Canon, the Commission imposes discipline and (with rare exceptions) publishes their opinion for the public. Generally, a guilty judge will be fined, ordered to apologize to the public, and ordered to attend continuing legal or judicial education; but sometimes, a judge will be suspended or even removed from the bench. Anyone can file a judicial ethics complaint against a judge. How Exactly Are Judges Rated? A confession of error is a sanction imposed against a respondent in an appeal that typically occurs when the respondent refuses to participate in the appeal. are omitted from the computation. Why Does A Judge's Error Impact Their Rating So Harshly? the judge's decision on that basis. For these several reasons, we assume that for every mistake that is caught, several many more went uncaught.